ELSIS Cambridge Exam Preparation Courses will provide you with all the skills needed to pass a PET, FCE or CAE exam. Cambridge qualifications are recognised by employers, colleges, and universities (especially in Europe and South America), and the certificate remains valid indefinitely. The Cambridge Exam Preparation course is excellent if you need a formal English language qualification. This course is designed to prepare you for the examinations which are conducted by the University of Cambridge ESOL Examinations. Knowledge of test-taking techniques specific to FCE and CAE. Knowledge of text types, e.g. formal and informal letters, narratives, reports and articles. Improved reading skills for a variety of genres. A greater awareness of word families and word formation. The ability to analyse texts grammatically and to transform sentences so as to express the same meaning in different form. Development of speaking fluency and accuracy. Students are assessed at regular intervals and are well prepared for the demands of the Cambridge exam. The exams are internationally recognised and useful for students who need to use English in their workplace. The course develops and improves skills in all five areas. Cambridge English First (FCE) course is our most popular Cambridge course. 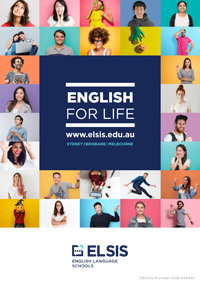 This is a rigorous course which blends general and academic English elements to ensure students gain a full and all rounded exposure to the English language. It is widely accepted by TAFE and other VET institutions around Australia. Cambridge English: Advanced (CAE) course is a highly intensive and specialised course which blends academic and general English elements to ensure practical usage of English in a range of situations. With 4 components: Reading and Uses of English, Listening, Writing and Speaking It is highly regarded and accepted by the Department of Human Affairs for Immigration. It is highly regarded and accepted by the Department of Human Affairs for Immigration.